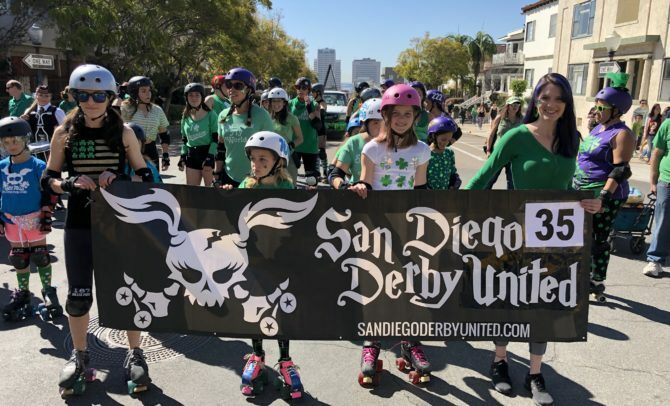 For the past two years, StarDust and Phoenix have had the privilege of skating with fellow Roller Derby Skaters in the 39th Annual St. Patrick’s Day Parade. 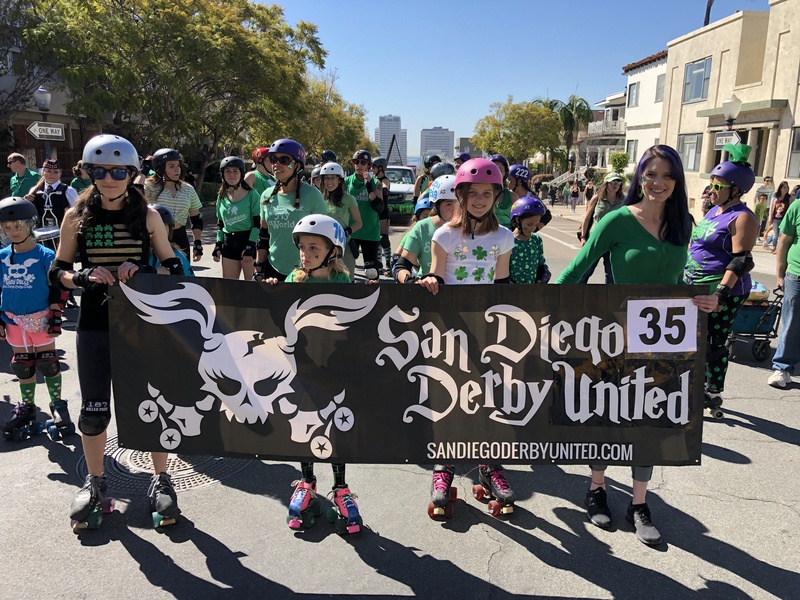 In this years parade, San Diego Derby United advocated fun, equality, and family. From the moment we arrived, participants were all smiles as skates and green accents were put on. Not only was it exciting to engage with all ages of talented skaters, but interacting with the crowd stirred a sense of gratification. One of StarDust and Phoenix favorite moments was when two kids came running up to them to get a high five and ask about Roller Derby. This Derby Family showed the crowd the difference between a Blocker and a Jammer, how learning jumps can be fun especially when you are jumping over your fellow team member, and how we encourage each other when we fall. Being a part of San Diego Derby United is amazing and we look forward to next year’s parade.